I firmly believe that learning directly from the source, through trips out of School or visitors coming into School, is an important part of children’s education. 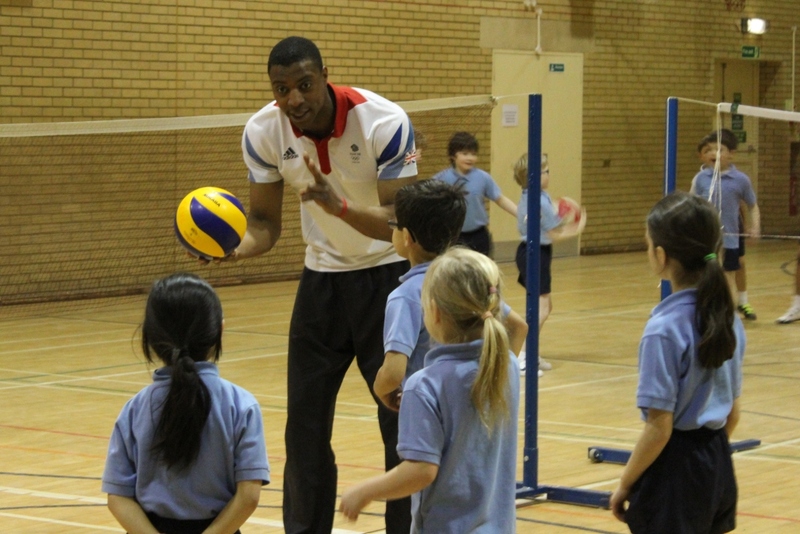 Yesterday pupils from Year 3 and 4 were lucky to discover first-hand what it takes to become an Olympic athlete when two GB Olympian volleyball players, Peter Bakare and Nathan French, visited Red House to challenge their volleyball skills and to educate them about becoming an athlete. 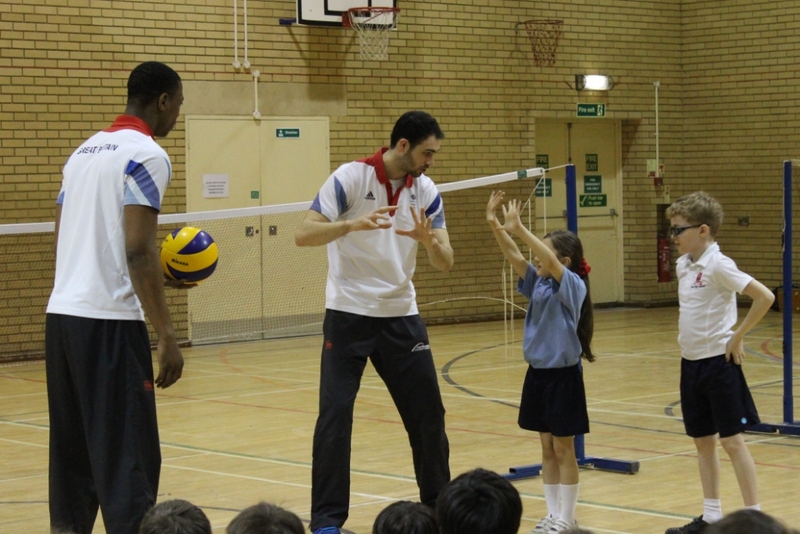 The visit supported the learning of Year 3 children who are currently studying the Olympics as a topic at School. 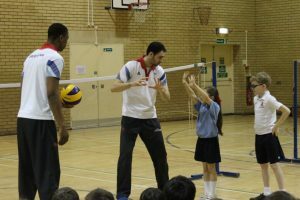 The children have been learning about the history of the Games, which began in Greece in 776 BC and comparing them to the Games of the modern day. As the 2016 Olympics in Rio are almost 500 days away, children have already been putting their knowledge into practice by designing a t-shirt. They have studied Brazil and the city itself in order to discover the main landmarks and features of the country. The visit of GB stars, Peter Bakare and Nathan French, not only greatly enhanced the children’s learning of the Olympics but importantly it enabled them to discover the dedication that is required to be at the top of a sport. 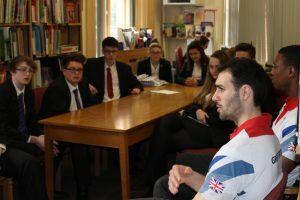 They learnt about the sacrifices that Peter and Nathan had to make as top athletes and what motivates them to achieve their best. The morning finished with Peter and Nathan holding a ‘Question and Answer’ session with Year 10 GCSE PE pupils. 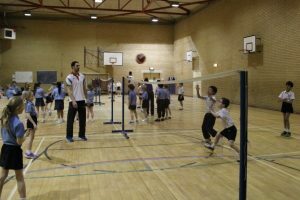 Pupils were eager to quiz them about the different types of training they have to endure, how training impacts on their social life and how healthy eating relates to their performance.